So, I finally did it. I’ve published a real book! 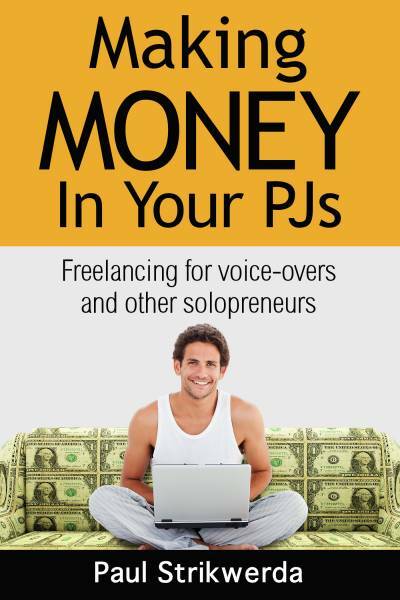 Making Money In Your PJs, Freelancing for voice-overs and other solopreneurs, by Paul Strikwerda. Rarely have I felt more relieved, satisfied and proud than in that moment. It was the culmination of years of writing, months of fine-tuning and weeks of getting up early to get the manuscript ready for print. Why did I push myself to do this? My clients keep me pretty busy, and with over ten thousand subscribers, my blog is in good shape. Shouldn’t that be enough? Well, one of the reasons I wrote it, is to shut some very nice people up. Over the years, countless readers of my blog have told me that I ought to write a book. After continuous gentle pressure and some firm kicks in the pants, I finally gave in and made it happen. I knew one thing for sure. Just like my blog, I didn’t want this book to be written for the voice acting community only. I wanted to put something on the shelves that any creative freelancer could benefit from. At the same time I realized that the interest in voice acting is growing. Audiobook sales alone reached $1.6 billion in 2013, and I receive many emails from people who believe they’re going to rock the world of narration with their powerful pipes. Most of them have very strange ideas of what it takes to do well in this business. 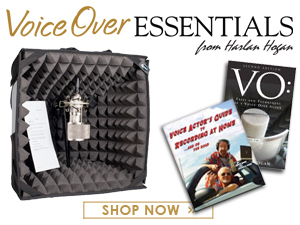 Making Money In Your PJs is neither a "get-rich-quick by doing voice-overs guide,” nor a step-by-step course that will take the reader from voice-over novice to top talent in three days. Rather, it is a practical, personal, and realistic account of what life is like behind the mic. 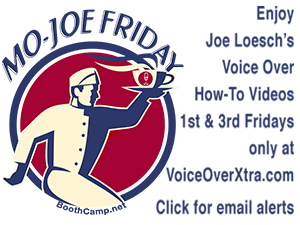 I have poured 30 years of freelance and voice-over experience onto the pages, as I talk about promoting a business, turning potential customers into clients, pricing services for profit and how to stand out in a very competitive playing field. Those are things that are hardly taught in vocational trainings, and yet they make or break a career. People have asked me to describe what makes my book different from other voice-over books on the market. I’ll be honest. I wanted to write a "Voice Acting (and Freelancing) for Smarty Pants-book.” A book that will assist and inspire our community in becoming more professional. I wrote it to raise our morale, our standards, as well as our rates. As you can probably tell from the title, Making Money In Your PJs is not a dry textbook on the joys of accounting and the pitfalls of marketing. Above all, I wanted to make it an entertaining read, packed with real-world examples and tips that will save you from reinventing the wheel. Sound engineer and voice actor Kirsty Gillmore said: "Reading this book is like having an intensive, rewarding chat with a mate who's an experienced voice actor and a successful freelancer. You trust their opinions because of their obvious familiarity with the industry and being a solopreneur, and because they relate it all back to their own experiences saying, "but don't take my word for it - go out and find out for yourself!" Making Money In Your PJs is now available in paperback and also for Kindle and iOs devices such as the iPad. You can see free sample chapters at http://makingmoneyinyourpjs.com, and learn what other readers have to say about it. 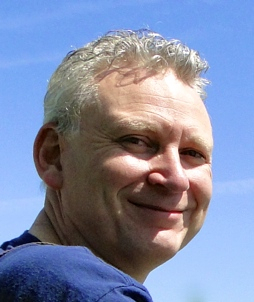 Paul Strikwerda is a 25-year veteran of the voice over industry whose Nethervoice service features German and Dutch voice overs, translation and evaluation services. Born in Holland, he has worked for Dutch national and international radio, the BBC and American Public Radio. Although 90% of his work is in English, Strikwerda also records in Dutch, German and French. 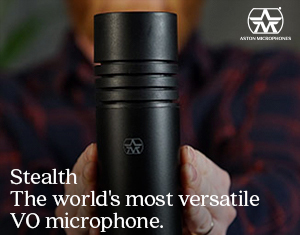 Clients include Novartis, Johnson & Johnson, and the Discovery Channel. He is author of the new book, Making MONEY In Your PJs: Freelancing for voice-overs and other solopreneurs, and also publishes an informative and entertaining blog, Double Dutch.